When you think of Mercedes-Benz and the cars they produce, a couple choice words may pop into your mind—luxury, style, class, performance. Well, at the 2015 Frankfurt Auto Show, Mercedes decided to give car enthusiasts a few new words to add to that list—transformer and futuristic. Mercedes picked the perfect auto show to unveil its stunning Concept IAA, which stands for Intelligent Aerodynamic Automobile. Coincidentally, the Frankfurt auto show also known as IAA (Internationale Automobil-Ausstellung) was the obvious stage to announce the innovative sports sedan. The name Intelligent Aerodynamic Automobile comes from its ability to automatically transform multiple features of the car to be more aerodynamic. When the IAA reaches 50mph, it begins its automatic transformation. The tail of the vehicle extents, the front lip and flaps go into hiding, and even the wheels transform. It’s a groundbreaking car with incredible technology that’s never been seen or used before in an automobile. The video below is must watch to get a look at how the Concept IAA really looks and performs. 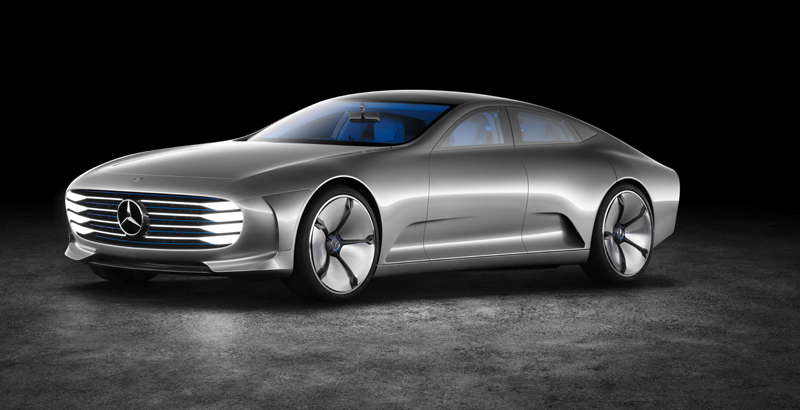 The Concept IAA is more than just a futuristic-looking 4-door sports sedan. Of course, Mercedes had to create a plug-in hybrid system that packs 279 horsepower and reaches top speeds of 155 mph. What’s the point of being aerodynamic if it doesn’t go really fast? While going really fast, the IAA is so sleek, it only drags with a Cd value of 0.19. That makes it one of the most aerodynamic vehicles in the world along with the Volkswagen XL1 and Formula 1 racecars. Achieving these levels of performance is no surprise coming from Mercedes. Each year, Mercedes continues to develop high performance luxury vehicles that make other car manufacturers look outdated and behind the curve. In addition to amazing performance, Mercedes couldn’t leave out their history of luxury and design from the IAA. Similar to Tesla’s new Model X, the IAA features an extended glass roof, one that stretches from the front windshield to rear windshield—something that’s never been done before. Although this is a monumental release for Mercedes, it’s not the only vehicle that they have turned heads with in recent times. Mercedes-Benz has a catalog of stunning vehicles from smart cars, to plug-in hybrids, to autonomous trucks. 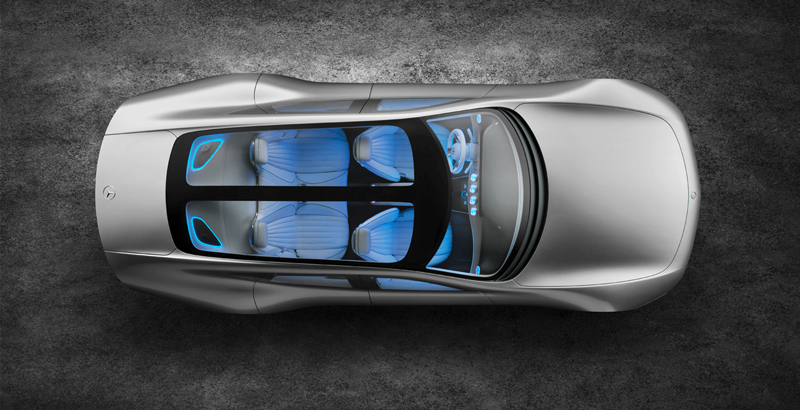 While the Concept IAA has no plans to hit the production line, it just goes to show that Mercedes-Benz is capable of integrating some of these futuristic ideas into the vehicles they plan on selling to the masses. If you enjoy reading about the newest industry trends as well as updates on Mercedes-Benz, Like us on Facebook!